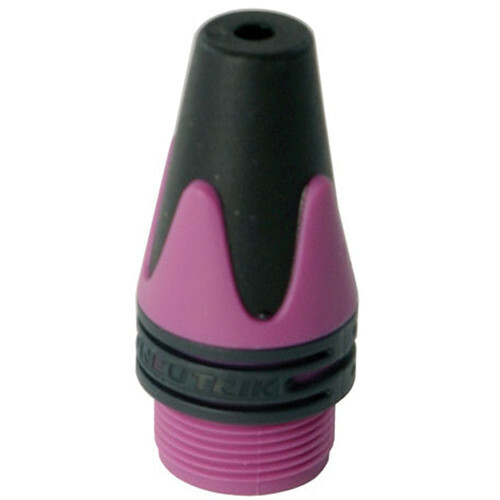 Styled in violet, the Neutrik BXX-1 provides bushing (i.e., encasing) for etherCON-series RJ45 cable connectors. As such, you can use this accessory to color-code and color-coordinate complicated, elaborate, or truly labyrinthine cable runs, and such, continue to fight the good fight in the ongoing battle against cable clutter. BXX-1 Bushing for etherCON RJ45 Cable Connectors (Violet) is rated 5.0 out of 5 by 1.